I want to repost this one! as throwback. Well This event happened last Aug 6 2017 and that's my birthday. 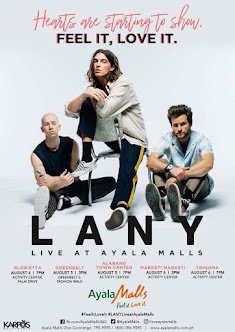 Lany has fist mall show here in Philippine last Aug 2017. As you can see this blog publish on Last Aug 31 2017 HAHAHAHHA! I don't want to create a new blog post for this because this already happen. but anyways. 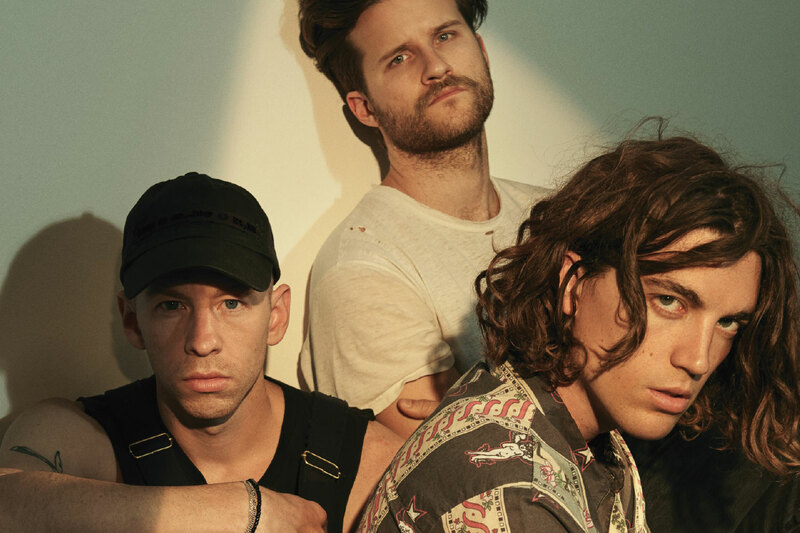 Who's Lany? Who are they? Are you familiar of this Band? Since they are mall showing if you want to chance to meet and see there in front you need to purchase of any grocery items or any items worth of Php 1000 to Ayala malls department store to get the ticket. But mostly since I 'am the practical one! I'll go early in Trinoma " Dahil doon ako manonood!" no purchase anything instead I just watch outside the barricade because in trinoma malls has 4 floors so for me that's very nice to watch upstairs. So I need to get a very nice space for their concert. Yes I admit I am the Fan girl one " Fangirl ng taon teh!" HAHAHHAHA. Then Aug 6 is their mall showing concert and also that's my birthday. Mostly I like their songs and my favorite songs from their album Dumb stuff is ILYSB, Superfar, The Breakup, Pink skies 💓 I feel so in love at this Moment! OMGG 😍😍😍 Why your so Handsome PJK!💓 "ang pogi pogi mo! I feel the broken heart when Dua lipa broke up to PJK I feel the sadness of PJK because we all know that PJK love Dua lipa so much so this could make me triggered so much 😡😡 But of course when need to respect both side because they are artist so when need to moving forward about this matter. No hate no fights because of their idols that's not a good thing! " I guess"
It's never the same, love, don't try to make up. Ok so Back to Concert Topic na Aug 6 @ 3pm I'm going to Trinoma I'm so excited that time because that's my birthday also. I love attending concerts gigs! Then that's sunday so no traffic at all. after 2 hours I meet ethel from #TeamGA " My concert buddies!" Then before the concert start we meet Jhu. Then 7pm the concert already started I feel the happiness " Eto yung masayang birthday ko ganon! this is my first to attend mall concert. and I just wanna say this grateful. Ok Here's the Video During Concert. Video was not Mine Credits to the Owner po sya. I have mine but they posted on my social media accounts. Hi Guys if you have time just listen their songs. Its very Creative and Romantic ..
What a great throwback! I love the videos! I’ve never heard of this band but I will check out their music after reading this post. So fun! Total throwback. Enjoy! Amazing throwback, it's just going back to those days when I have enough time for myself and I love to listen to those bands. Thanks for refreshing the memories. Love the videos. Looks like the crowd was loving the concert. I had no idea about these bands. Thanks for sharing your music tastes. A lot of my friends love that band as well.. I haven’t heard of them. I’ll check them out! Ahh the memories of a great concert. I have many concerts that bring back many good times. Love your photos and the videos. I love going to concerts and seeing singers/bands as well as the crowds.